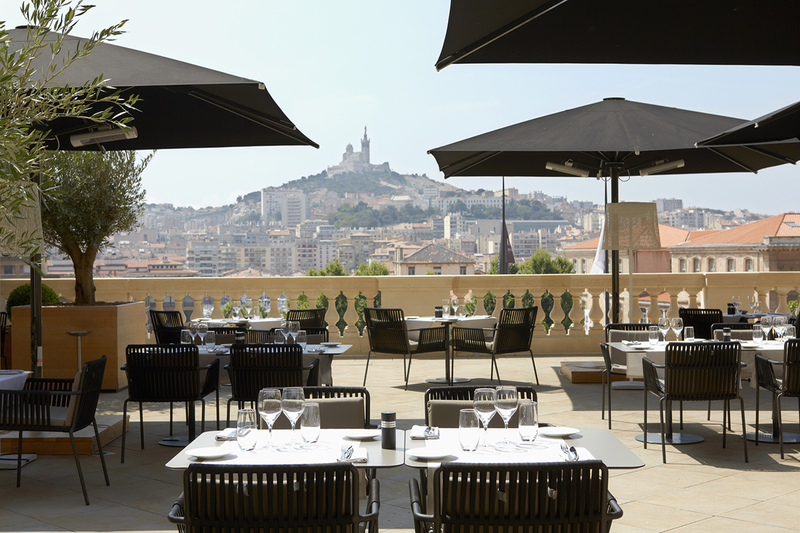 The 750 square meters terrace at InterContinental Marseille -Hôtel-Dieu, has been nominated by the Villegiature Awards jury, and we can admit : it is really impressive with an amazing view on the historical city of Marseille. By a sunny and windy weather – the local so-called “mistral” wind often blows there – you could also have the feeling to stay at a giant vessel’s bow ! And indeed it seems many of the numerous prestigious events that occured these last months in this second biggest city of France, took place on this impressive terrrace. 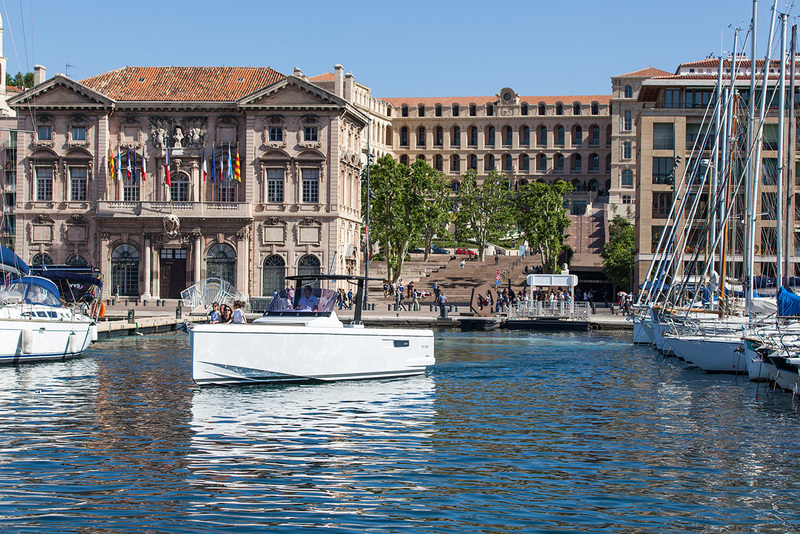 After last week intense heat : you may not resist the call of the sea, and for that you just need to go down the monumental staircase and jump onboard the private hotel yacht – a brand new white Fjord 36′, moored directly across the historical buiding on the city’s main quay. 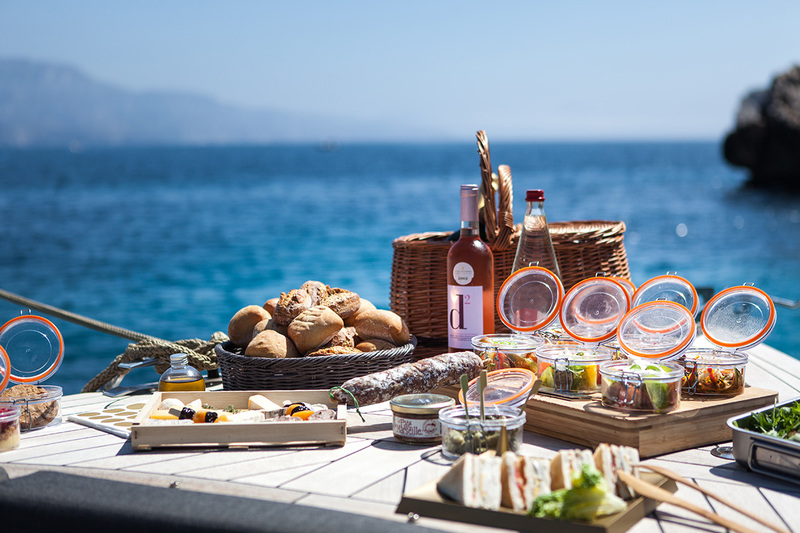 The hotel presents indeed relaxed and stylish excusions on this medium size yacht that is large enough for the comfort, small enough to enable the boat to moore on the so charming and notorious “calanques” little creeks that are few dozen minutes away the hotel. A motoryacht that is besides well equipped for its size with double berths, a complete bathroom with a shower and a very smarty reception area that can host up to a maximum of 12 guests. 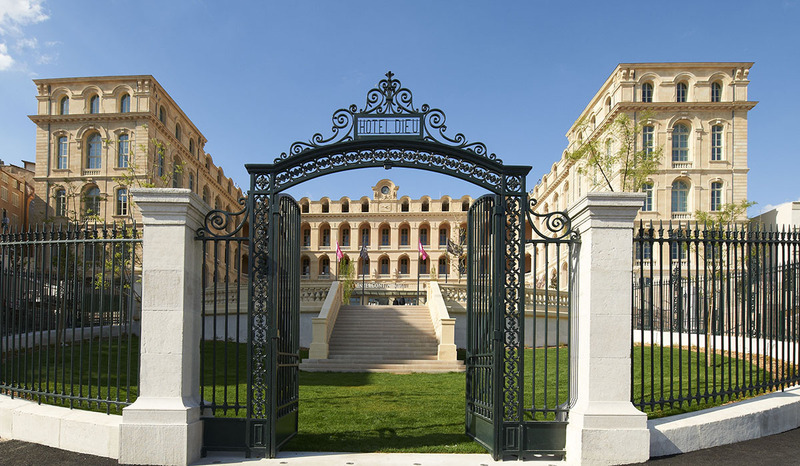 The interesting offer of the moment : at a flat fee of 995 €uros for two, you can enjoy a one night stay with breakfast at the Intercontinental Hotel Dieu Marseille, plus a half-day cruise aboard a Fjord 36′ private yacht with a gastronomic picnic basket pepared by Michelin starred chef Lionel Levy.